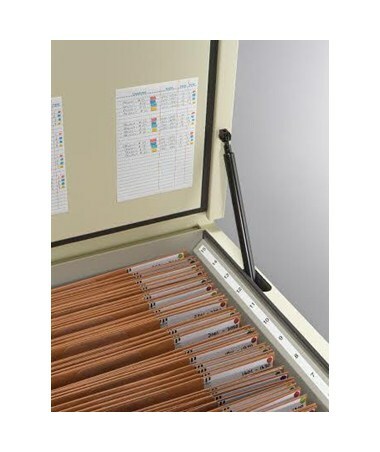 The Ulrich Fire Resistant High-Density Vertical Minifile is a high-capacity storage file that offers exceptional protection for your important documents. This minifile comes in 24 folders that can carry 1,440 active or 2,400 inactive files. Also, it accommodates sheets up to 36 x 48 inches big. 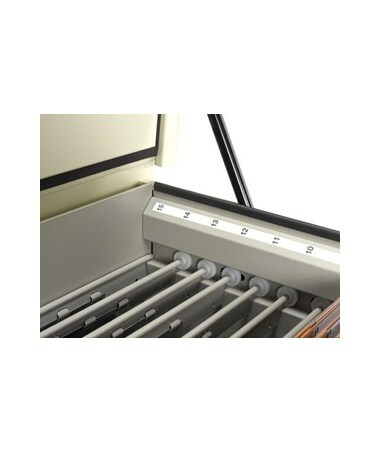 Occupying only at eight square feet, this minifile holds more documents in a lesser space than any other filing system. It features a unique spring compression system and heavy-duty folders. 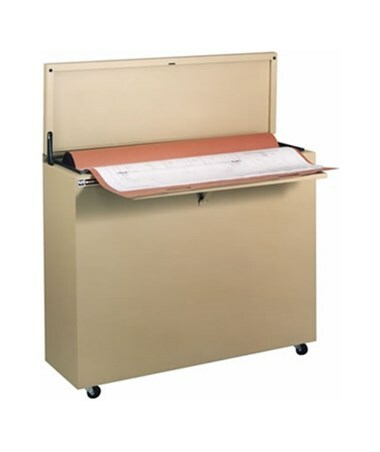 With Mylar-reinforced hand holes, the folders are strong enough to withstand a 350-pound pull. 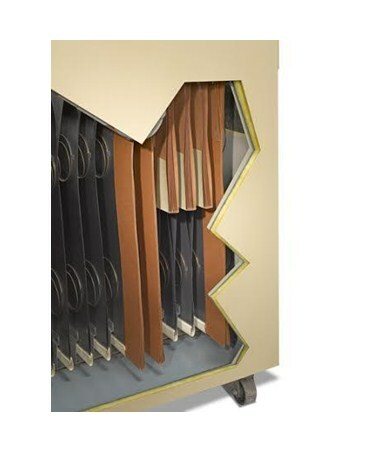 This Ulrich minifile keeps a double-wall, steel construction and fire-resistant insulation that protects the unit from fire accidents. It is equipped with heavy-duty, lockable, removable casters for total mobility. Also, it comes with a standard lock for security. 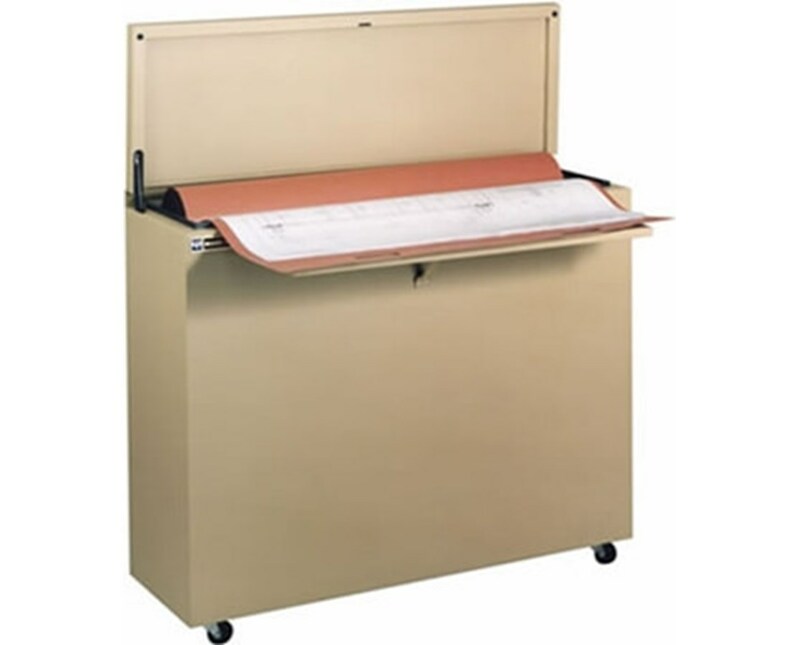 In addition, this vertical minifile comes with a powder-coat finish for a stylish look. 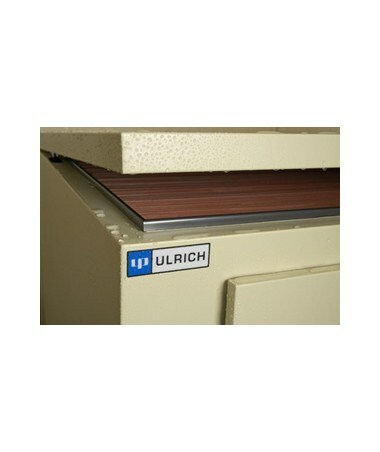 The Ulrich Fire Resistance High-Density Vertical Minifile offers three sheet sizes that can hold large documents. Please select your preference from the drop-down menu above. File Size up to 24" x 36"